The GP80AAAH/T is a tagged AAA size rechargeable NiMH 780mAh cell. This cell is commonly used in battery pack production. This is the tagged version of this cell, we have even supplied these to someone who used it to repair a Remington Ceramic Clipper HC-636C. Used to replace a beard shaver battery. It now has a new lease of life and should be good, fingers crossed, for another 5 years of life. 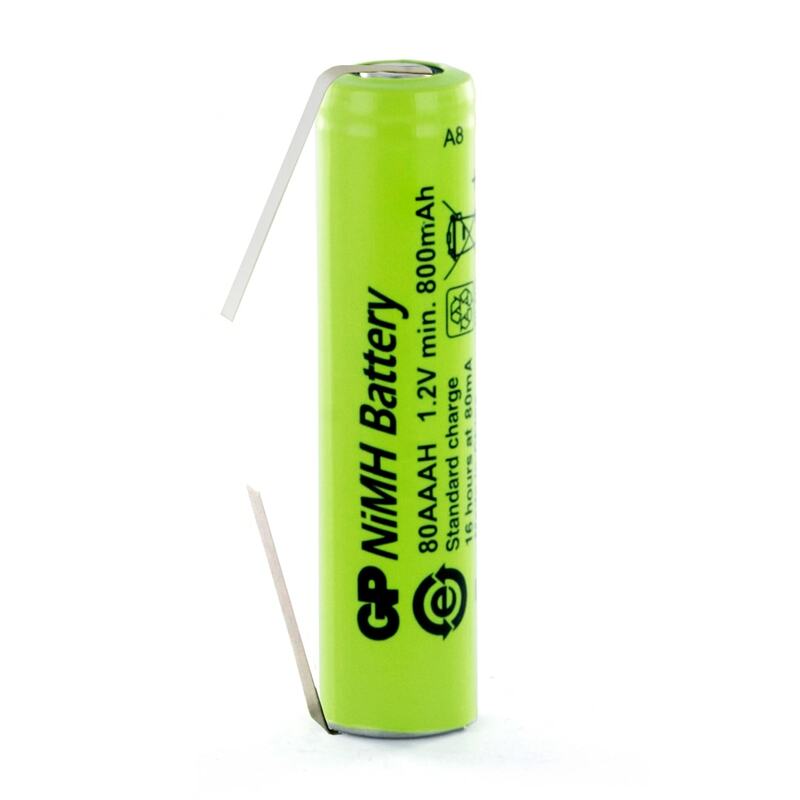 Used two of these to replace old batteries in my hair clippers. Useful long tangs were helpful in making them fit correctly and they were delivered quickly which was good. I got two of these (AAA size) to replace dead rechargeable batteries in my Remington battery shaver. Its batteries only lasted 3 1/2 years. The shaver works like new again. The batteries arrived very promptly and appear to be of very good quality. I have made them into a pack of 4 and they are working perfectly in my Philips Pronto remote control. Great service.